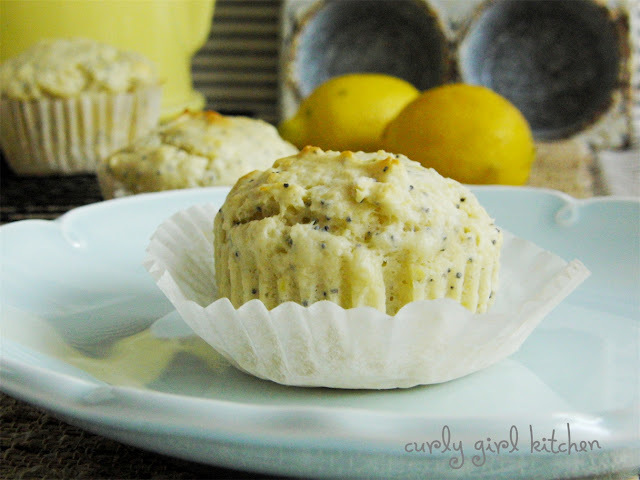 Lemon Poppyseed is one of those classic combinations that just never goes wrong. 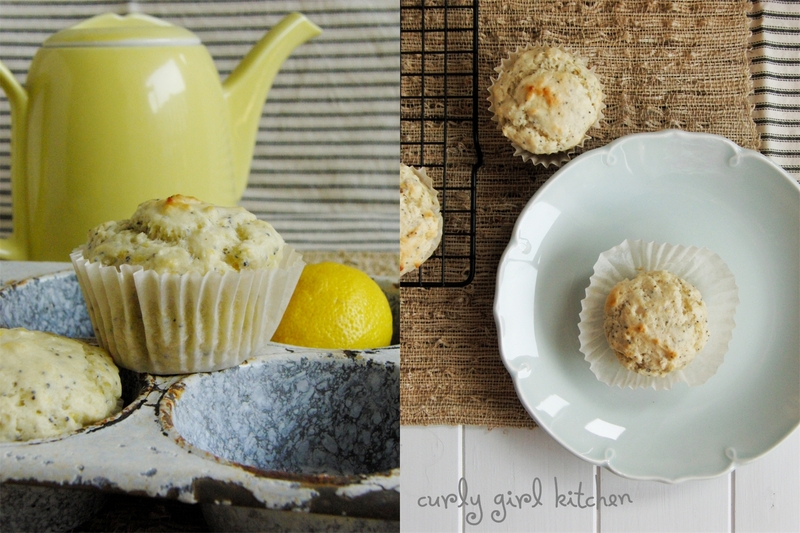 It's been a while since I've made muffins, and I was remembering that lazy Saturday when I baked Orange Poppyseed Muffins, with fresh orange curd to spread over them. Jamie and I stayed in our pj's that whole Saturday, and enjoyed the muffins for breakfast with champagne glasses full of mimosas. We watched movies all day, and it was a perfect day at home. 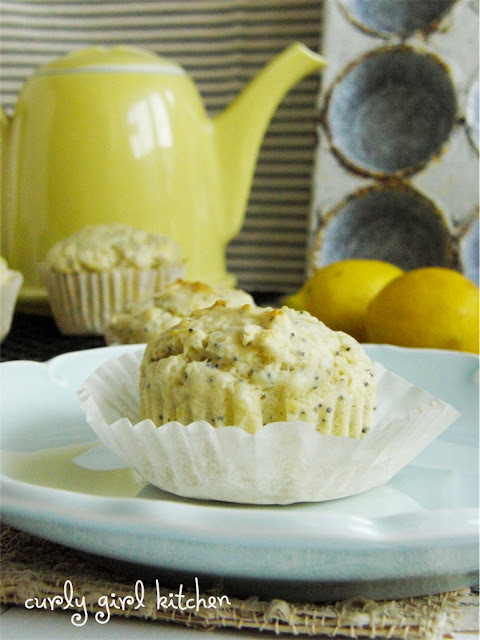 Since we both loved those muffins so much, I adapted it into a Lemon Poppyseed muffin, soft and tender, tart with fresh lemon juice and zest, and with a slight crunch from the poppy seeds. 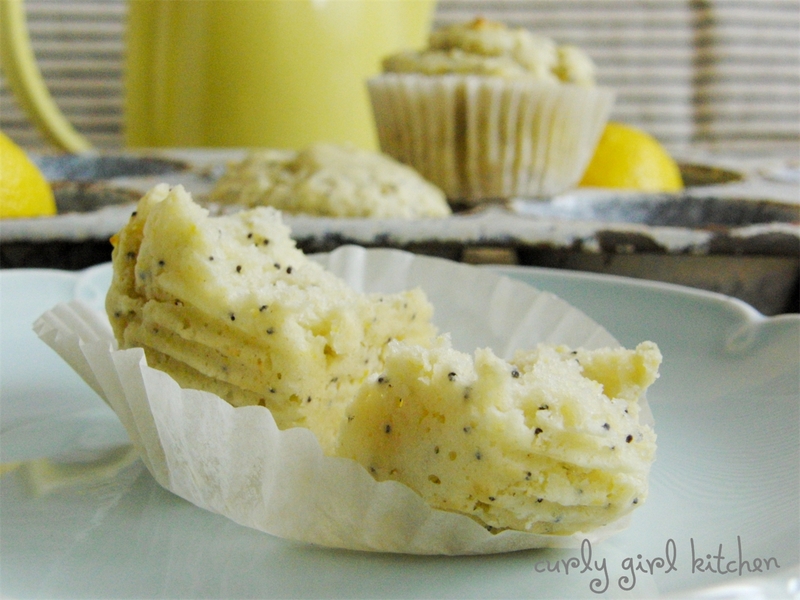 These were some of the first muffins I ever learned how to bake, probably when I was 10 or 11, although I'm sure they were from a box mix back then, and I always loved their freckled appearance from all the speckles of poppy seeds. Preheat the oven to 350. Place 9 paper liners in a muffin pan. In a large bowl, whisk together the lemon zest and juice, yogurt, sugar, oil, egg and vanilla. In a separate bowl, combine the flour, baking soda, baking powder, salt, nutmeg and poppy seeds. Add the dry ingredients to the wet and stir just until moistened. 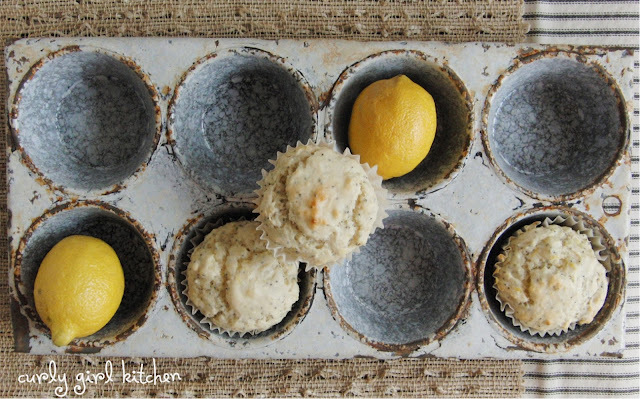 Spoon the batter into the paper cups, filling them 3/4 full. Bake for 18-20 minutes, until a toothpick comes out clean. Serve warm with your favorite jam, lemon curd or honey.